Have you ever heard of a child eating dirt? I have but it didn’t seem healthy or something a sane adult would do. Adults can sometimes eat their own words, humble pie or even eat crow but these metaphors are just that; metaphors. We don’t have to actually digest the similes. Beto (Robert Francis) O’Rourke took eating to a whole new level after he lost to incumbent Ted Cruz R-TX. 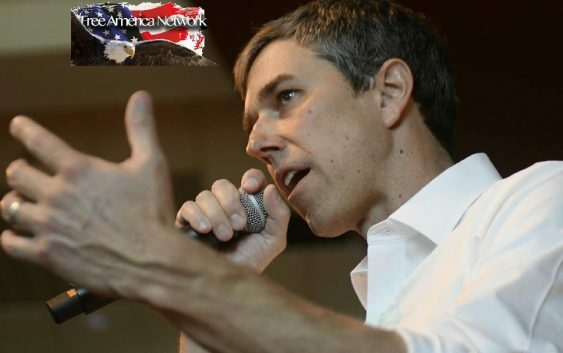 Beto ate dirt. O’Rourke raised $80 million for the Senate race against Cruz and is rejuvenating himself by eating dirt to draw energy. Beto’s story was published by The Washington Post. I wonder if Beto’s family all ate dirt. Someone told me on Twitter that America needs illegal immigrants to pick crops to supply the American people with food. I did argue the point in my reply tweet. Well, if Beto is correct in his assumption that eating dirt is good for us, maybe we don’t need food? We can all just eat that yummy dirt.